If It Doesn't Exist, We'll Create It! This caveman mask is made of high quality foam latex. It Includes an injury/scarring detail over right eye for even more realism. Want a mask with just the brow or one with a big nose? 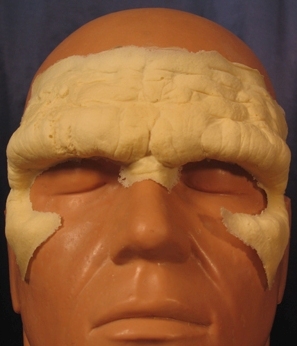 Check out our foam latex makeup application kit. It has everything you’ll need to attach, color, and remove latex or foam latex pieces. Download our FREE Foam Latex Appliances: Make-up Application Guide (PDF). © 2019 ImpaQt FX. All Rights Reserved.